HALOGEN or an incandescent (heat driven) light works by passing an electric current through a tungsten filament to make it glow. Up to 90% of the power input is wasted in heat. 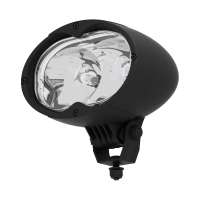 The Nordic Lights Halogen work lights use only high quality heavy duty bulbs supplied by one of the world's leading manufacturers. A standard halogen bulb has a lifetime of approximately 500 hours. 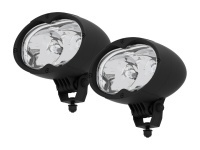 Halogen technology offers a considerably more affordable solution for your lighting needs. With Nordic Lights optics and patented dampening solutions you will get an easily serviceable light providing a lot of light for your money.